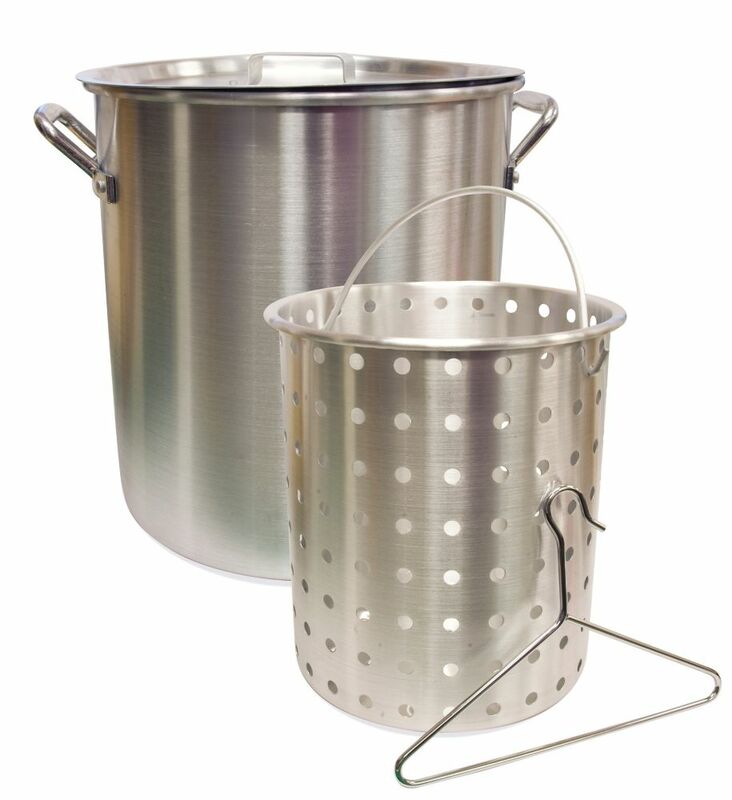 Perfect for boiling, deep frying, or any of your steaming needs, this large 32 Quart Aluminum Fry Pot and Basket will the job done. An aluminum lid, basket and removal hook are included for your convenience. 32 Quart Aluminum Pot Perfect for boiling, deep frying, or any of your steaming needs, this large 32 Quart Aluminum Fry Pot and Basket will the job done. An aluminum lid, basket and removal hook are included for your convenience.